Ok, not really. I’m no where close to the fraudulent God that is Ms.Stewart, I’m more like her twin sister who was held back a few years for sniffing the glue, and later had to be taught how to hold a crayon properly. But one of my favorite things to do for the holidays is to decorate the house! 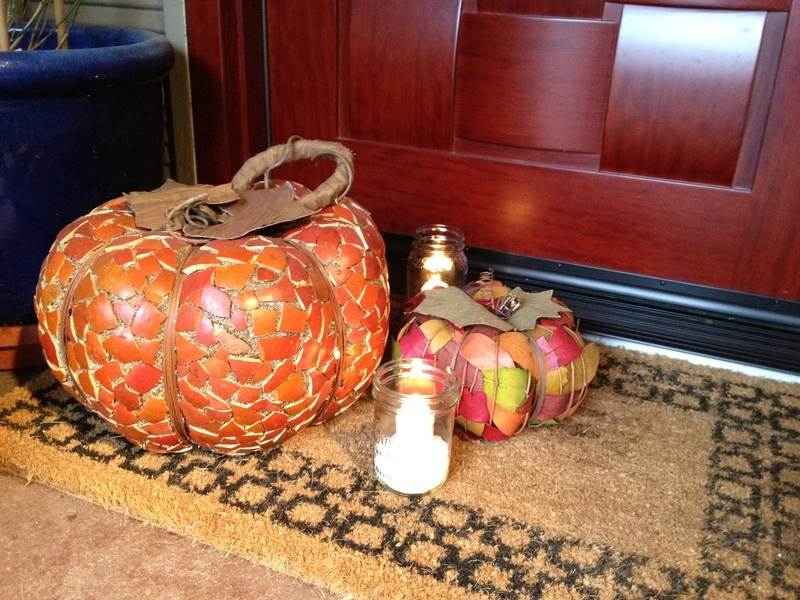 Here are some decoration ideas for the fall! 1. First things first- I like to use what I can get from the good ole outdoors: leaves, acorns, etc. Natural leaves look better than the fake stuff from stores <— Read: I’m cheap. 2. My rule is odd numbers. Odd numbers of things look better (at least in my opinion). 3. Play with height (don’t have everything the same height all lined up next to each other). See above. 4. Use seasonal fruit, vegetables, etc. as decorations. 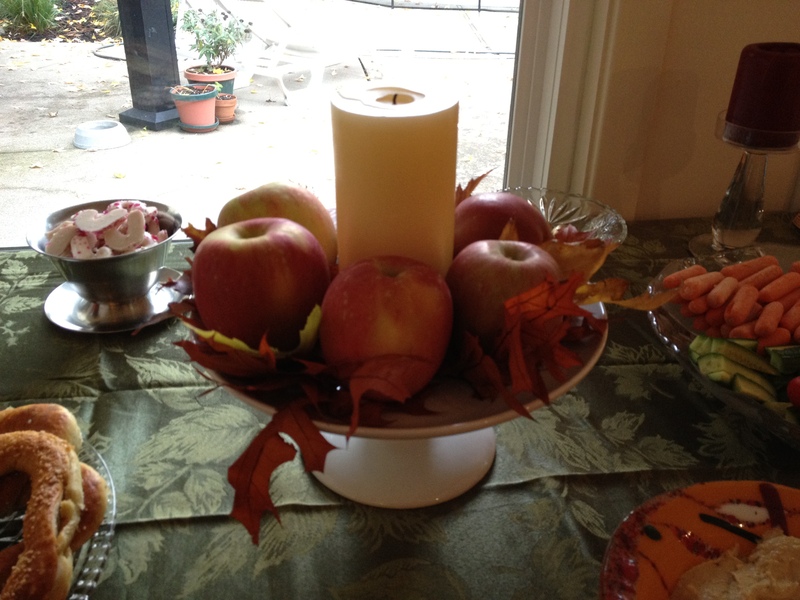 I think it’s silly to buy a bunch of decorations that you will throw out after the holidays, so why not use apples and other items you might snack on? And playing with height again. 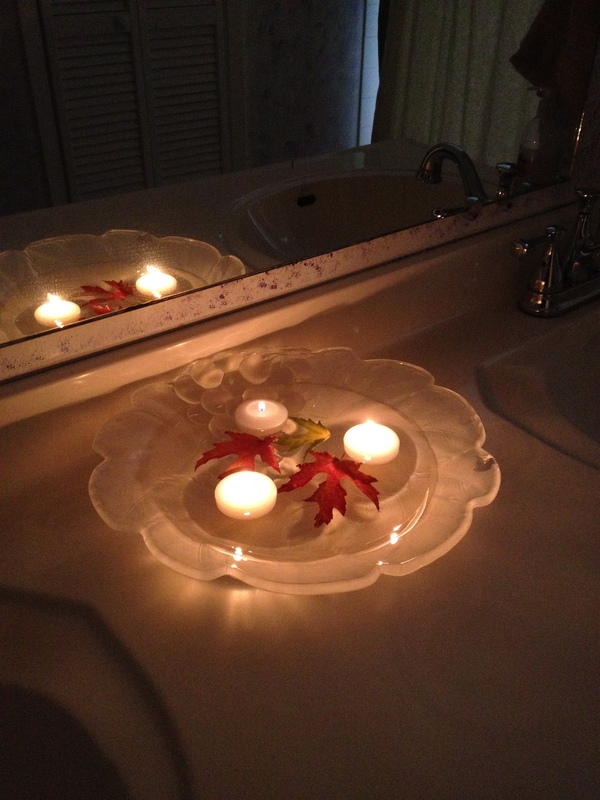 Just using a cake plate here, but you can easily turn a sturdy stemmed glass upside-down and place a plate over it. Just be careful that you don’t put anything heavy on top, and maybe place in a location where no one will bump it. 5. 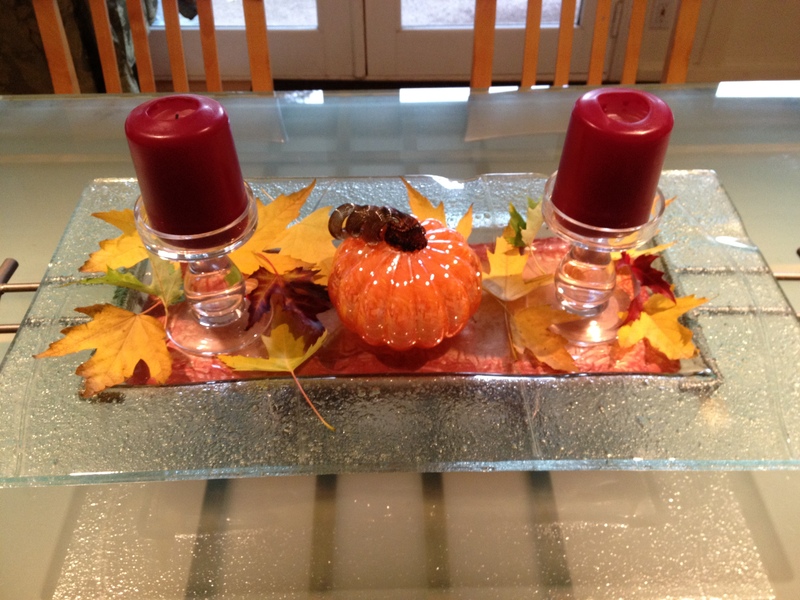 Use large vases/glassware to hold candles. 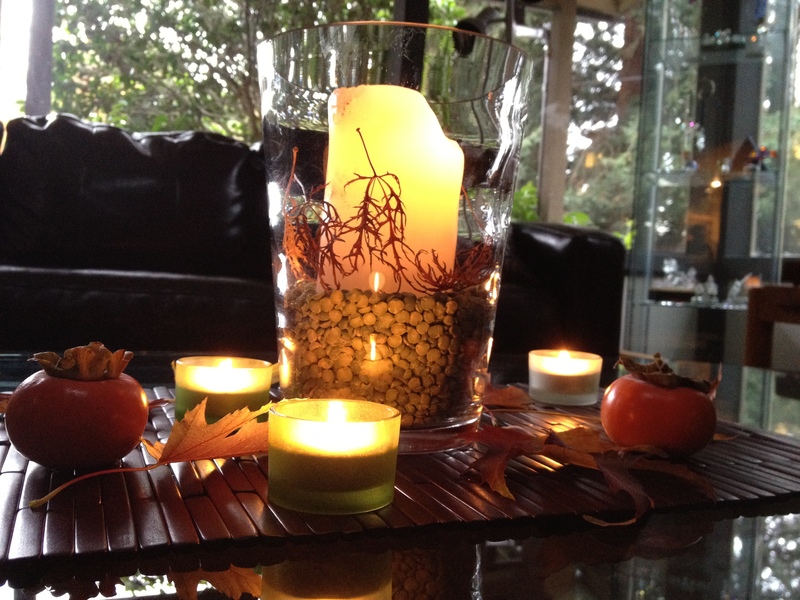 I threw some dried peas, fresh leaves from a tree, and a large candle (large enough that it wouldn’t catch the leaves on fire) in a big glass vase surrounded by baby candles and persimmons. And bam, I’m freaking festive. 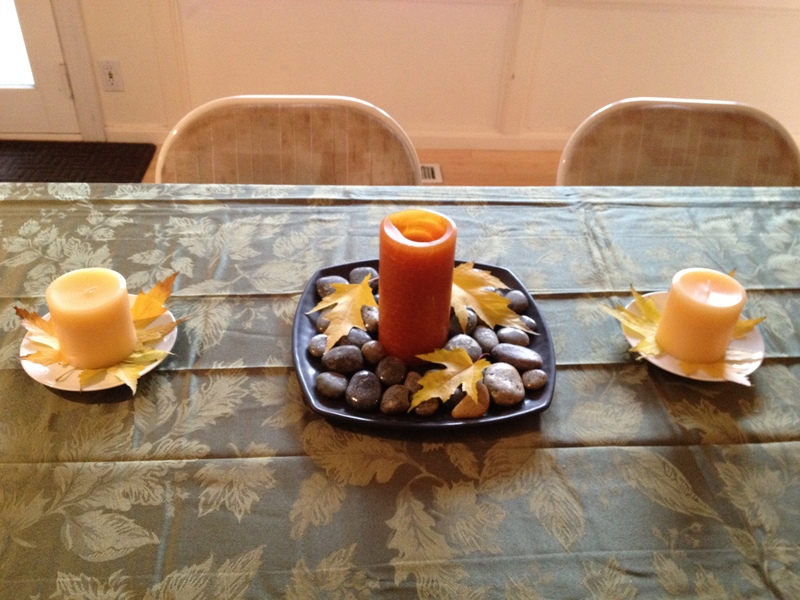 Another way to hold those candles- in different size glass jars with rock salt. I’ve seen people do this with paper bags with cutouts in the sides, but I think this is safer and plus you can reuse it. Oh, and no need to buy mason jars. Save those sauce and jam jars after you eat the good stuff and remove the labels. 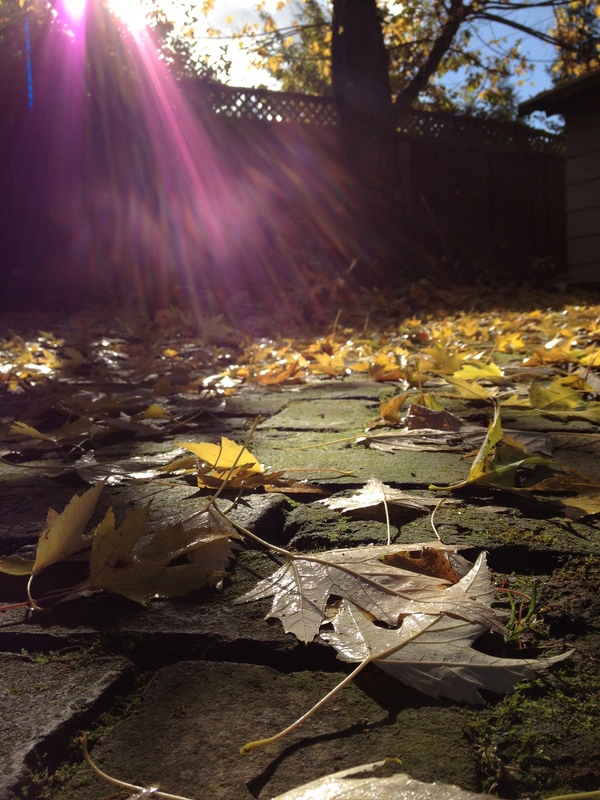 One more tip: don’t used dried up leaves, and remove the leaves before they dry up. Once they start to dehydrate, they make a mess…especially if you have cats that like to play with them and turn them into confetti. So, who’s comin’ over for Thanksgiving? Previous Post Another Liebster Award! Zach and I never decorate for the holidays, except for a Christmas tree. That’s one of the things I am MOST excited for when we finally get a bigger place..having storage and the ABILITY to decorate per season! Awwe that’s cool though! You can always display that! Exactly! They honestly freaked me out a little bit when I was little, but now that my grandma is gone, they are something I appreciate SO MUCH! nice! I’m coming over for Thanksgiving! Such pretty ideas! 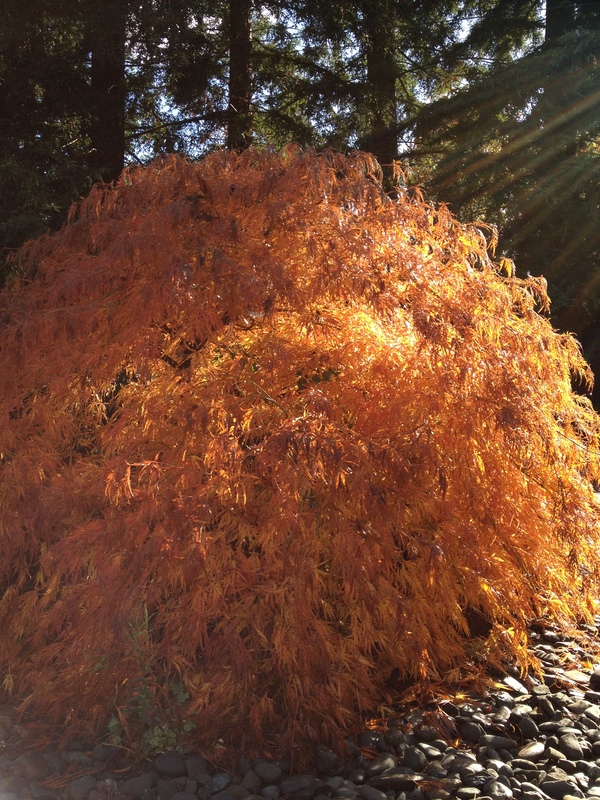 The first picture of the leaves and light is absolutely stunning. Aww thank you! Believe it or not, I took that with my iPhone haha! So you’re the one stealing all the leaves!!! Haha you found the culprit! Thank you! That’s so exciting!!! That is a hard decision to make. Real Christmas trees are so expensive, but I just love that smell and look. I’m not sure if it’s the same where you live, but for us, if you go to a lot where you chop down your own tree, it’s a lot cheaper. Plus it’s really fun to chop it down! Oh my goodness, I love these tips! I wish I were a wonderful decorator but sadly I am not. I really like your tip about playing with heights! Davidand I just recently moved into a bigger apartment. Since we’re renting there’s limits as to what we can do with the walls. Such as painting. So decorating is going to be a fun challenge and using the natural elements are exactly what I want to incorporate into decorating. Really want to craft an end table made of logs. Thanks for the inspiration. Oh that does sound like a fun challenge! You’ll have to get creative with table settings 🙂 Let me know how it goes! David and I just recently moved into a bigger apartment. Since we’re renting, there’s limits as to what we can do with the walls. Such as painting. So decorating is going to be a fun challenge and using the natural elements are exactly what I want to incorporate into decorating. Really want to craft an end table made of logs. Thanks for the inspiration.